From Oscar-nominated director Dan Krauss comes a story about a young soldier in Afghanistan who attempted to alert the military to horrific atrocities being committed by US soldiers, and who then himself became a target of one of the largest war crimes investigations in American history. Specialist Adam Winfield alerted the military to the killings through his father, but his warnings went unheeded. 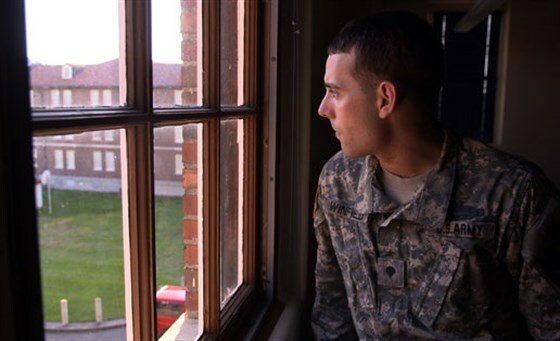 Soon, Adam’s fellow soldiers sensed that he was going to talk, and they threatened to silence him–permanently. Weaving together past and present parallel storylines, the film dips in and out of Adam Winfield’s unfolding legal story to reveal piece by piece the increasingly devastating narrative in Afghanistan. In the third act, these storylines collide, with Adam facing a critical decision in both timelines. In the present day, he must decide whether to go to trial or take a deal. Back in Afghanistan, he faces an equally daunting decision: take a stand to protect a civilian or watch as his squadmates carry out a murder. Speaking with an astonishing degree of candor and articulateness, these soldiers describe a series of increasingly weighty psychological quagmires, each highlighting the hazy morality of war, where the choices are often clear, but the best decisions seldom are.